It’s pretty clear that U.S. multinationals such as IBM, Microsoft, Caterpillar, and Coca-Cola are terrified of a potential U.S.-China trade war given that they’ve just released a plethora of reasons to keep U.S. trade open, via Business Roundtable (BR, an association of CEOs from major U.S. companies). 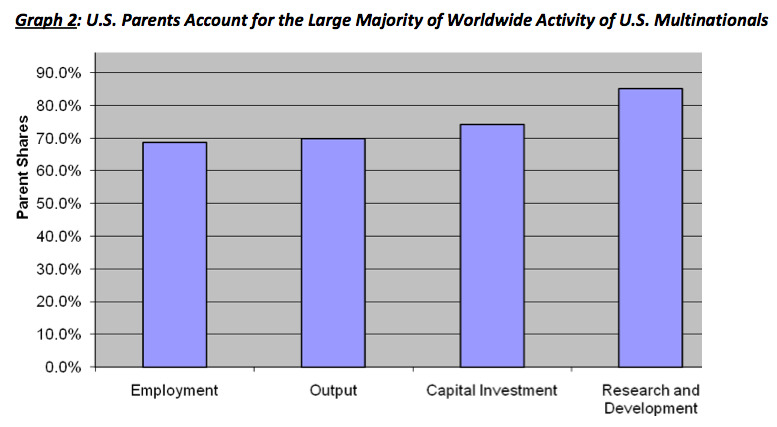 Moreover, and here’s the heart of the matter in our view, U.S. companies generate more profits abroad than within the U.S.. 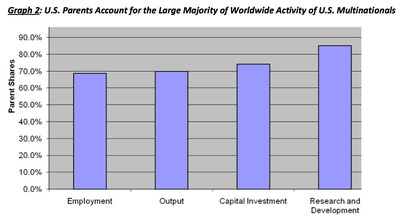 Thus through our combination of the two selected charts above, it’s easy to see how Americans are able to leverage the world via trade — For the U.S. companies used in Business Roundtable’s data, most profits are generated abroad… yet most of the total investment in people, equipment, and research is in the U.S.. Find BR’s exact take on the situation at Business Roundtable.